2016 National Parks Commemorative Silver Dollar Grades Perfect Mint State 70 - Released on the First Day of Issue and Signed by Elizabeth Jones! 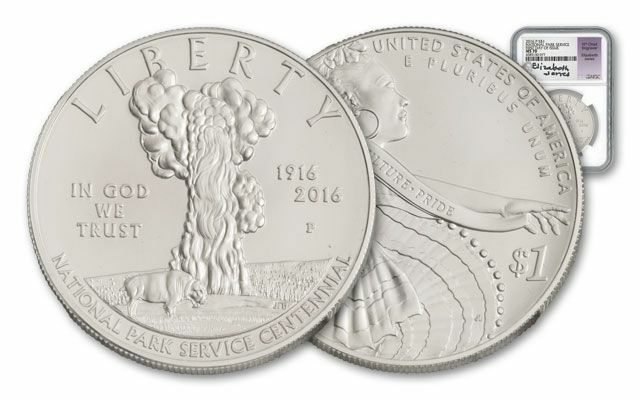 This spectacular 2016 National Parks Silver Dollar is struck in 26.73 grams of silver and grades perfect Mint State-70 (MS70) by Numismatic Guaranty Corporation. 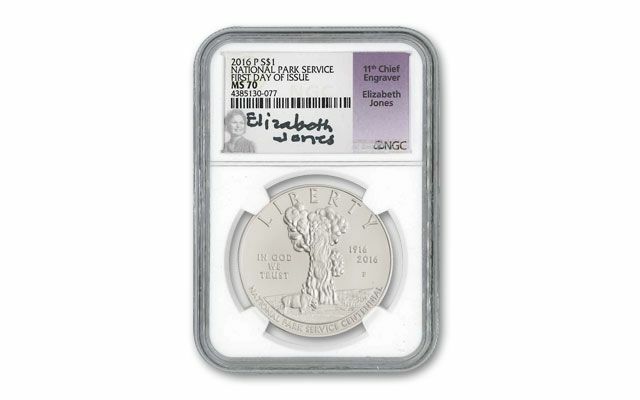 It's also a First Day of Issue coin with a hand-signed label by Elizabeth Jones, the 11th Chief engraver at the U.S. Mint. 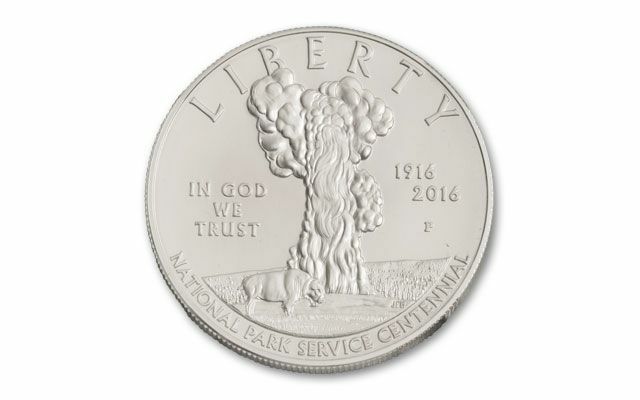 The Silver Dollar features Yellowstone National Park's Old Faithful geyser, a bison, a Latina Folklórico dancer, and the National Park Service logo - representing the multi-faceted cultural experience found in America's national parks. Since 1792, there have ONLY been 12 official and prominent Chief Engravers of the U.S. Mint. This prestigious position is highly important as the Chief Engraver oversees the production of all coinage for circulation and for collectors. Jones was the Chief Engraver from 1981 to 1990. She holds two distinctions: she is the only female Chief Engraver to ever hold the position and she was the last Chief Engraver appointed by the President of the United States. In her case, Ronald Reagan appointed her in 1981. As a testament to this achievement, each NGC coin label prominently features her hand-signed signature. 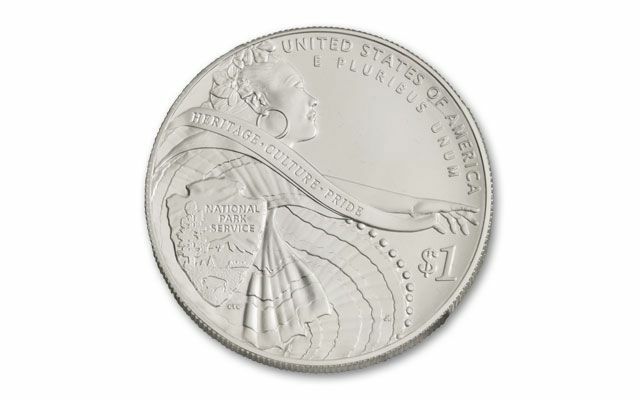 Add this special Silver Dollar to your collection today!